Indie Retro News: Another World - The Lost Level - An incredible game gets a special addition by Earok! 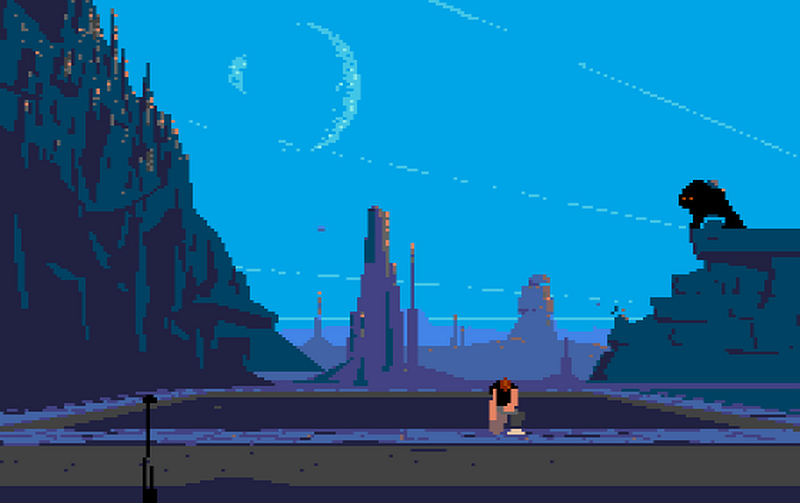 Another World - The Lost Level - An incredible game gets a special addition by Earok! Another World the platformer classic also known as Out Of This World and released across more than a dozen platforms since its 1991 debut, attained this cult status among critics and sophisticated gamers alike for its cinematic effects in the graphics, sound and cut scenes. It was also one of the best retro games from the Amiga 500 and it wasn't until this year, the sequel on the SEGA CD was ported over to the Amiga as an incredible port known as ' Heart Of The Alien Redux Amiga V1.0'. But today we are going to get even further for the original, as Earok has made available the Another World - Lost Level for the Amiga, which originally was part of the DOS library. According to the main info for this lost level, even though many reviewers and gamers praised the graphics, sound and gameplay, with it ending up as a cult classic, many did feel the game was a bit too short. Thus over a very long span, Eric Chahi created a new level before the amphitheatre scene, when the Alien friend rescues Lester at the end of a long-dead corridor, which reinforced their close friendship throughout the game. Also as an extra added bonus, more dangers were added included save points. But here's where things go off track for anyone owning an Amiga, this extra level and additions didn't appear on the Amiga at all, but instead ended up being coded by Daniel Morais for the 1992 PC MS-DOS version, even though the code wheel was the same as the Amiga and Atari ST. So once again it comes down to the community just as it was with the latest Heart of the Alien release, as thanks to Earok and help from the EAB members, he has made available this level, as a free standalone version, launchable on any Amiga. 1) Download earok's "Another World - The Lost Level BETA.zip" file from The Zone! 2) Extract the contents to a directory on a hard drive and double-click "another" to start the game.